One of my favorite vacations was spent in Portland, Oregon before Will and I were married. We loved the city. 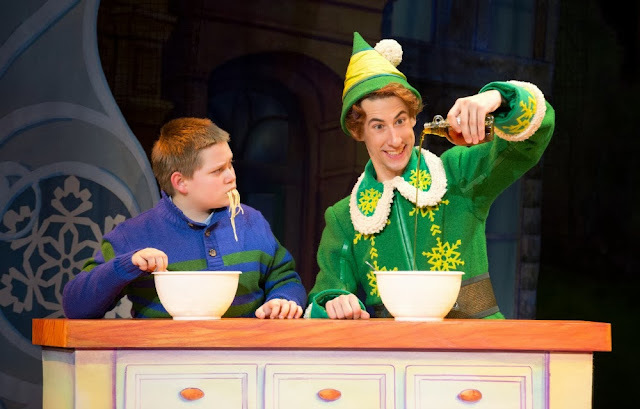 I remember making him walk like 20 blocks in order to eat flan that I read about in a guide. It's been awhile since I've been there so when Andy Hayes, a resident of Portland, contacted me about guest posting, I happily agreed. 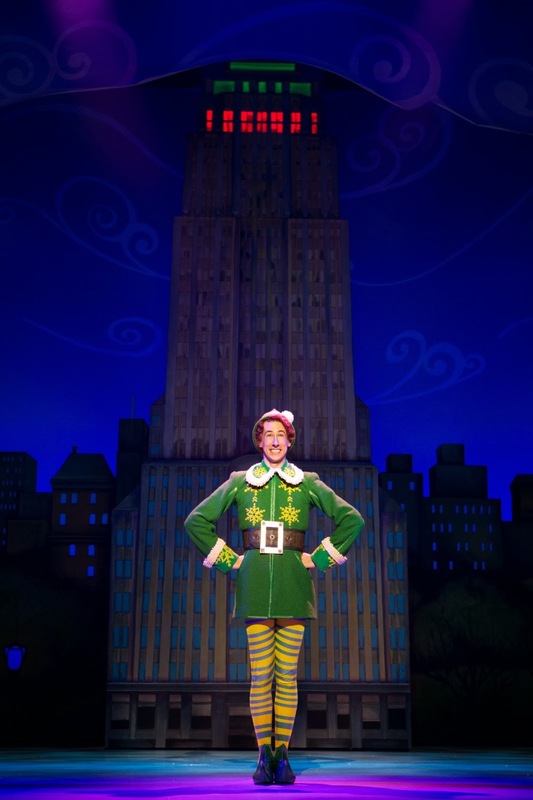 Here are some of Andy's favorites in the city. Considered by some newspapers to be the best place in the world to live, Portland is so much more than the hipster slice of Oregon portrayed on the popular TV show Portlandia. Home to a quirky counter-culture that prides itself on local food and drink, Portland marches to its own beat (literally). As a lover of all things luxe, I think Portland makes for the perfect luxury weekend getaway. However, before I moved to Portland, I found it a little hard to find those luxurious experiences. Below, I’d like to share with you some of my personal favorites. You might assume that it rains all the time here, and there’s nothing of interest outside. It does rain, but not as much as you think; if the weather suits, try renting a bike and heading for a ride along the Willamette River. You can ride on both sides of the river, and your hotel concierge will be able to give you directions/recommendations. Not up for the bike? Then head over to my favorite local’s spot, The Grotto. This botantical garden sits atop a cliff, and is a wonderful place to walk and reflect, even on a rainy day. 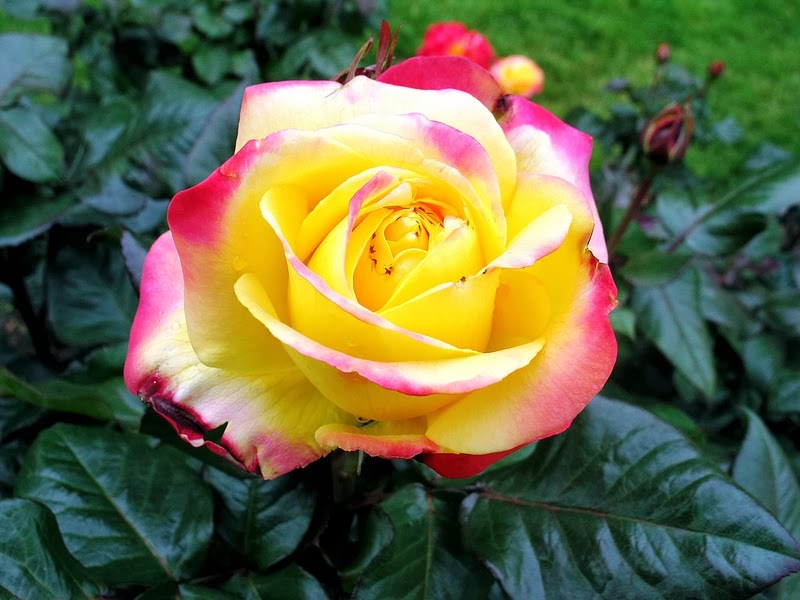 Another clifftop park is the International Test Garden, which offers incredible views of downtown – even if the roses are not in bloom, it’s a must-see. Tip: If you have a car, I highly suggest a drive out to Multnomah Falls, located in the Columbia River Gorge. In just an hour you’ll reach some of the most dramatic scenery in the whole state. 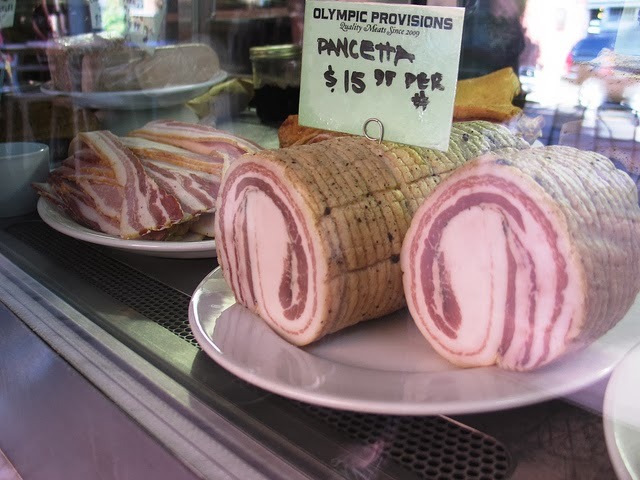 Portland is the most epicurean city I have ever lived in, by far. Giving restaurant tips is almost painful, because I could rattle off a huge list. I’ll make it easier by suggesting a visit to foodcartsportland.com and find a couple of carts near you. The food cart scene here is still exploding, and it’s a great way to do some sampling throughout your visit – there are carts everywhere. Once you’ve picked out some carts, followup with a visit to one of the Portland Urban wineries. These winemakers have quirky tasting rooms and very good, locally produced wines (great for souvenirs, too). Two favorites include Hip Chicks Do Wine and ENSO Winery – the link above has a full map to all the tasting rooms and opening hours. 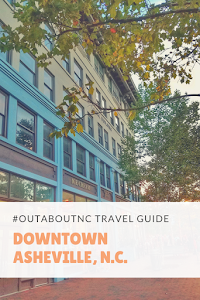 · NW 23rd & Overton: 23rd is lined with shops and eateries on both sides, from quilting to gourmet popcorn, along with a popular distillery. 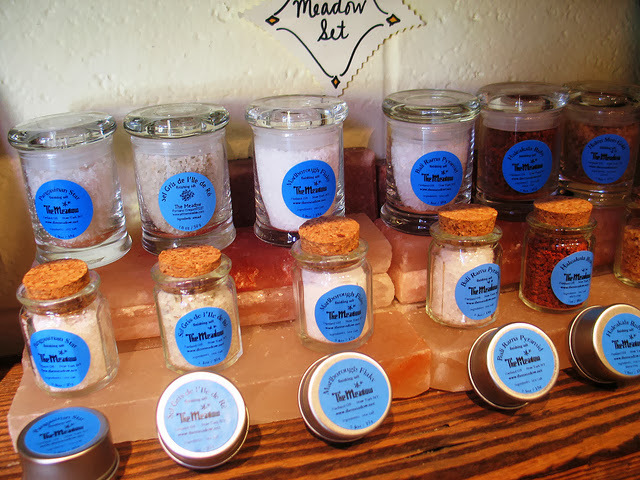 · SE Hawthorne & 34th: A hip and fun area full of clothing shops, a foodie version of Powell’s Books, and other unique finds. Trimet is Portland’s public transport provider, and for $5/day you can travel as much as you want to any of the city’s neighborhoods via tram, bus, or train. 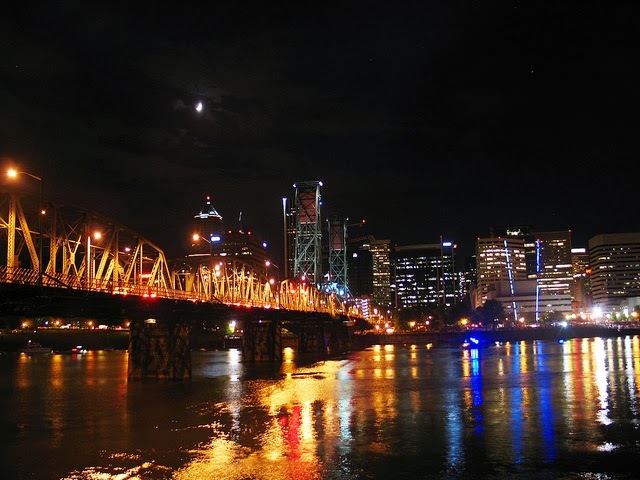 Portland has so many options for accommodation, and yet, on busy weekends you’ll find everything is booked (a reminder we are still a small city), so plan ahead. The newly renovated Riverplace Hotel is in a wonderful quiet spot by the river, and is now owned by Kimpton so you can enjoy loyalty perks if you are a member. For a central downtown spot, head for Hotel Lucia. This art-themed property is a short walk to pretty much everything, from food and drink to a tour of Powell’s Books, and their luxe rooms are some of the best value you can find in town. 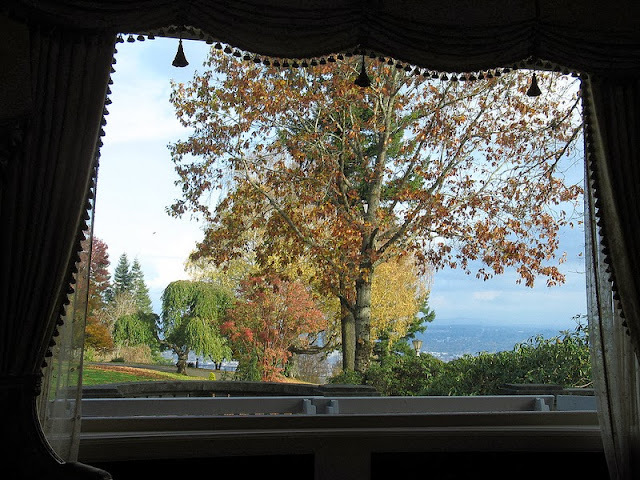 It’s Portland, so I leave you with an out-of-the-box suggestion: splash out on a carefully restored home on AirBnB. I suggest looking in southeast Portland, where you’ll find a home-away-from-home that will make you feel like a king (or queen). All photos are copyright by the author, used with permission. 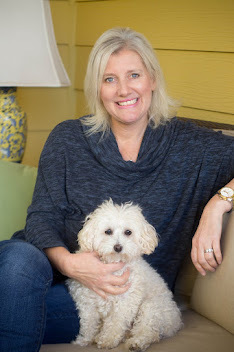 Andy Hayes is based in sunny Portland, Oregon and he’s the founder of Plum Deluxe, a community of friends and family who enjoy life’s luxuries, big and small. If someone says to me, "our hotel room didn't really matter because it's just a place to sleep," I cringe. It's as if I'm hearing fingernails screeching on a blackboard. I know I may be on the extreme side of things because my luxury hotel obsession is the foundation for this blog. I love hotels because they embody charm, character, pizazz and personality. 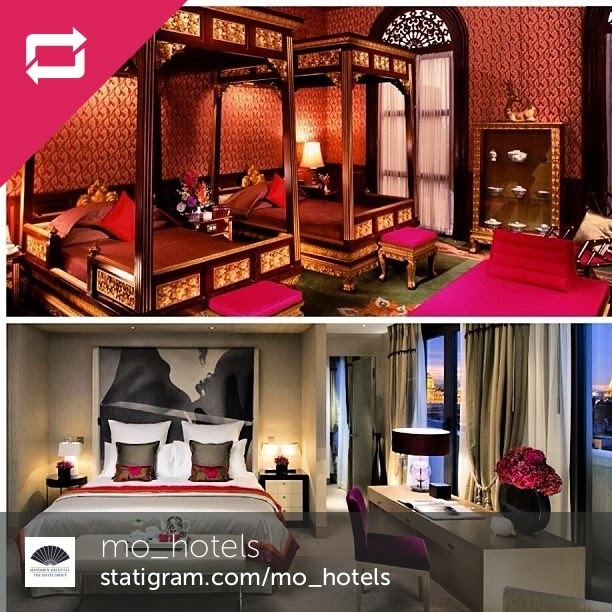 Here are two beautiful hotel rooms from the exact same hotel chain, but each one is quite different in style. The top is from the Mandarin Oriental Bangkok. The bottom photo is from the Mandarin Oriental Paris. While the styles are different, both make me swoon. 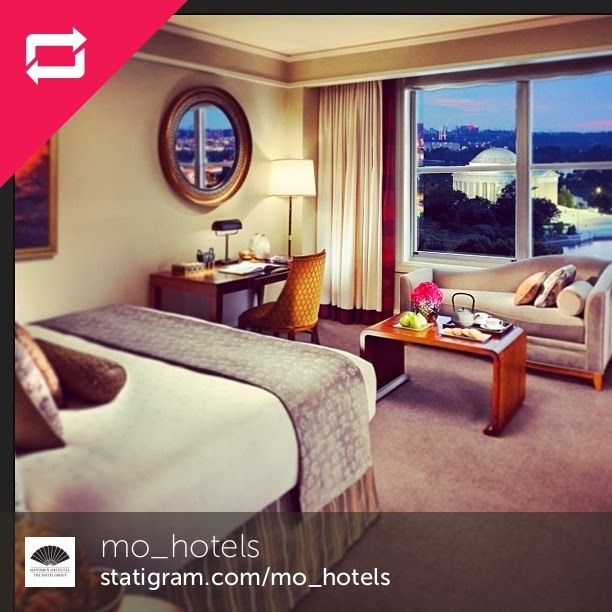 I started following the Mo_Hotels account on Instagram this week. I'm already smitten with the account after a few short days. 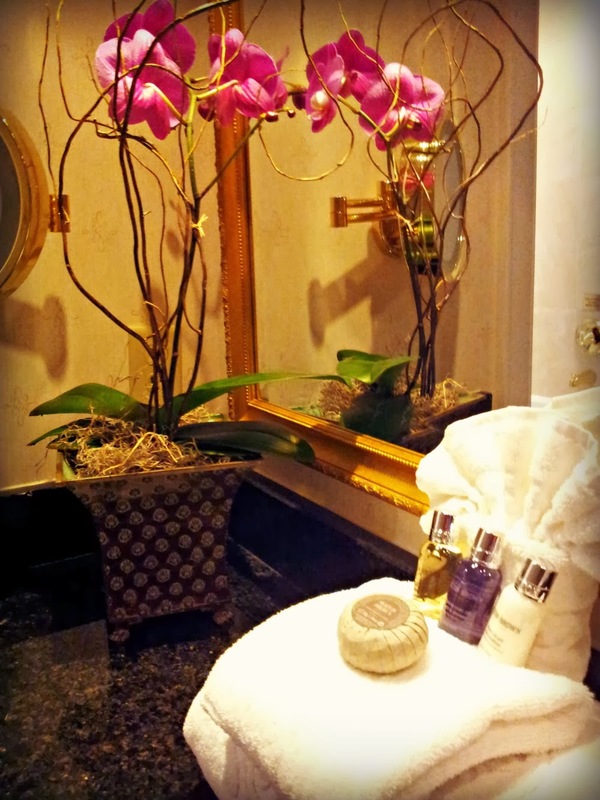 This is the Mandarin Oriental in Washington D.C. I've not personally stayed in a Mandarin Oriental Hotel yet for any of my travels, but it is a hotel chain that has certainly peaked my interest. With a property in Bermuda, properties on the East and West coasts as well as Europe then maybe the Skimbaco Travel/IGTravelThursday team can get to one in the near future. In just one week, the Instagram account is making me fall in love. What's not to love about tea and cookies? They must have known that would win me over. Have you stayed in a Mandarin Oriental property? If so, what is your favorite one? I'm traveling next week so I may be arriving a little late to the #IGTRAVELThursday party. 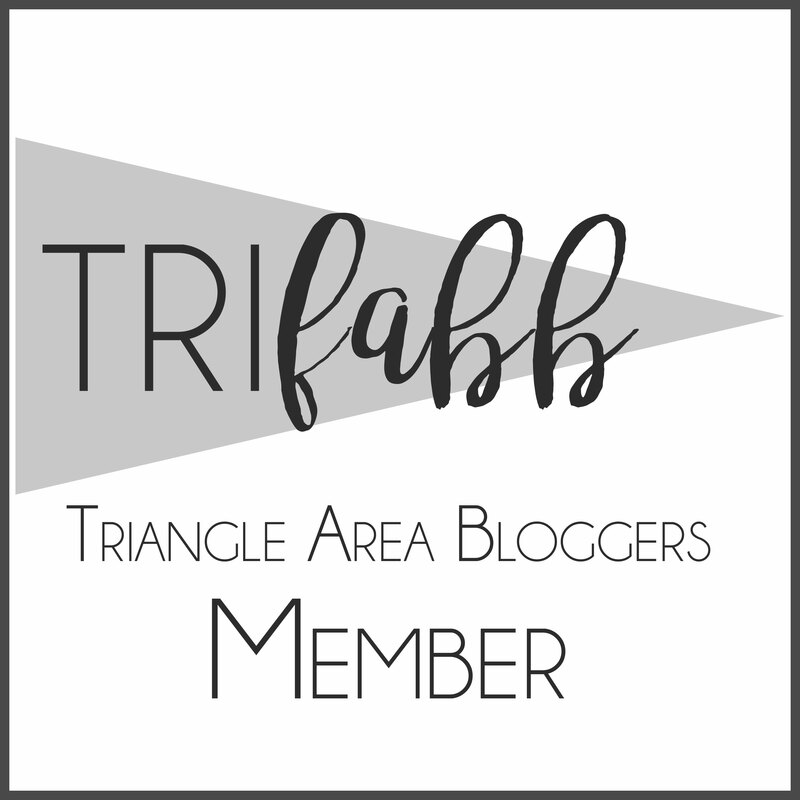 If you have a blog, link up with us. If you don't, just use the hashtag #IGTRAVELThursday on Instagram. Take a look at the link-up rules below before linking, and please link back to a host so others can find everyone's links. 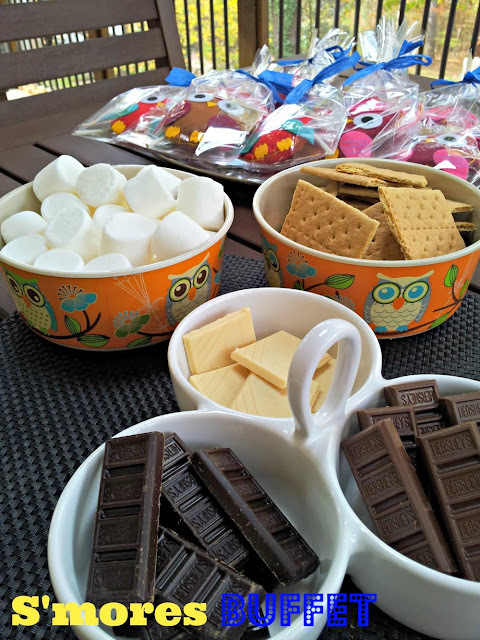 I hosted an owl-themed backyard S'mores party for my daughter's 4th birthday last week. 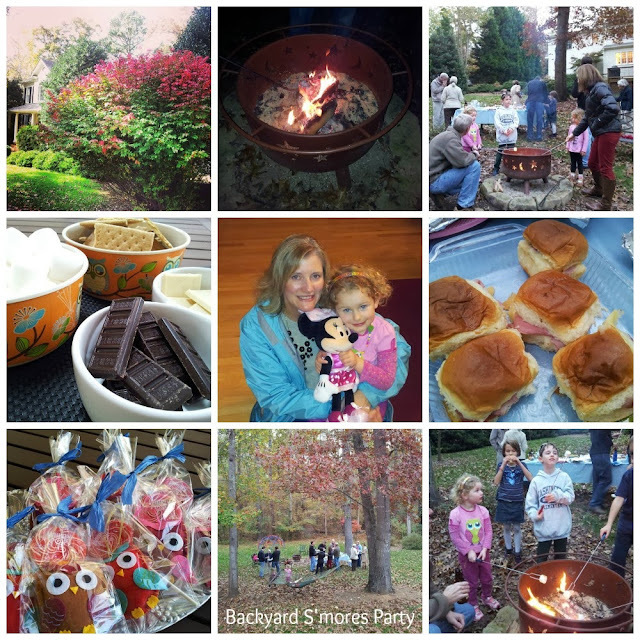 It was a little chilly that weekend, but the cooler temperatures just help set the tone for S'mores by the fire. I served a cheese ball, a fruit tray, a hot corn dip, and party ham rolls. The rolls were delicious. I basically took a recipe I had and chose to leave out all the ingredients for the topping, except butter. My version is more simple, and less messy. These ham rolls will disappear quickly. I made two packets of rolls, but you can make as many as you need for your event. Cut rolls in half. Place bottoms in a baking dish. 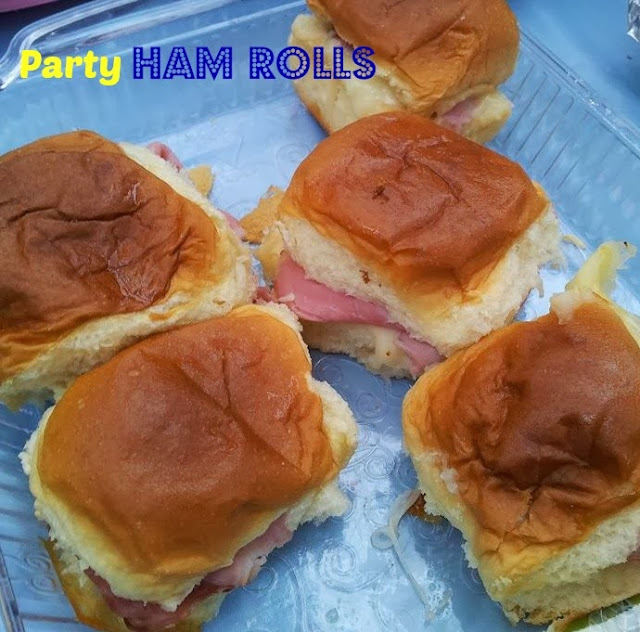 Place a half slice of ham and a half slice of cheese on each bottom roll. I folded the slices over to make it thicker. Spread cream cheese on the inside top roll, and then top your sandwich. Melt butter, and butter the tops of the rolls with a brush. Cover rolls with tin-foil. Bake about 30 minutes on 350 degrees. 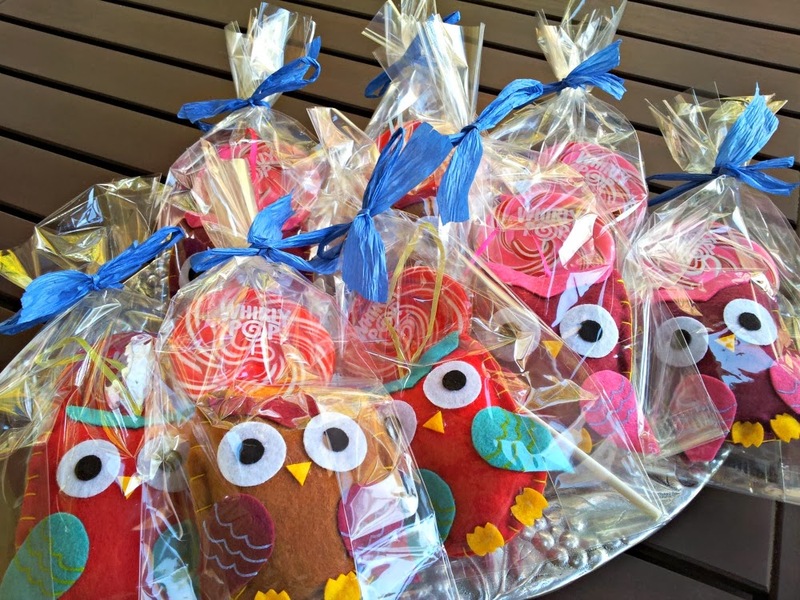 I made the party favors. I bought an owl Christmas ornament at world market, and paired it with a Whirlypop sucker. Believe it or not, I was having so much fun at the party that I forgot to give some of my guests the favors. I've enjoyed reconnecting with them this week to deliver the favor. I also found two owl-themed bowls at World Market, and used them to store the marshmallows and graham crackers. Guests could choose to make their S'mores with dark, milk, and white chocolate. 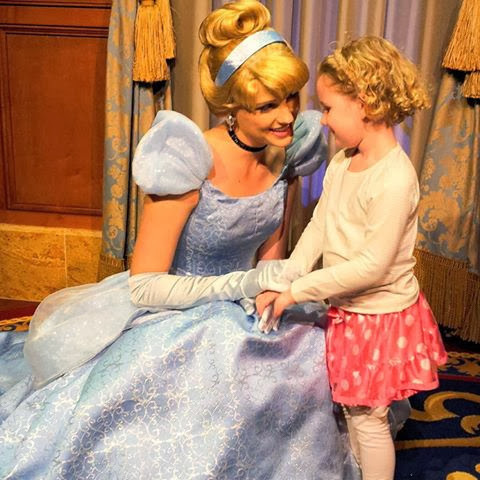 The birthday girl had a great time, and we're going to continue the party later this month for her first trip to Walt Disney World. Frankly, my dear! 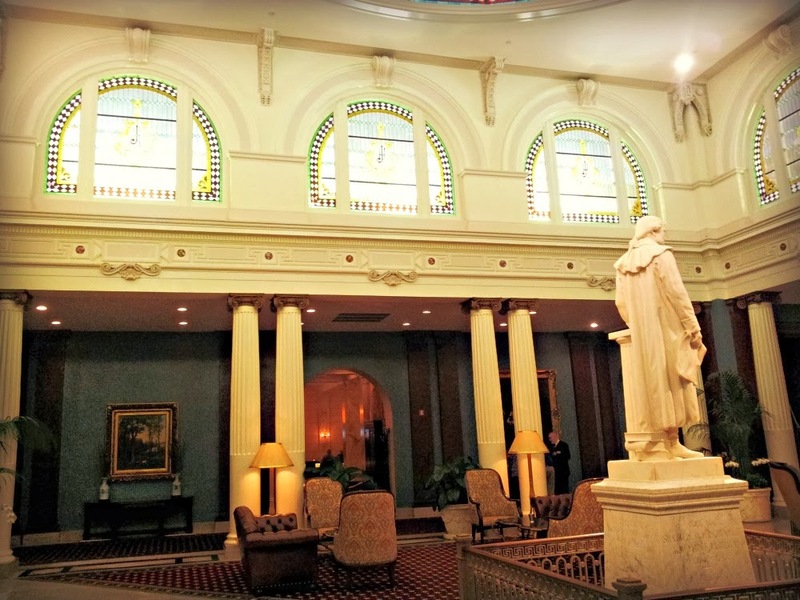 The historic Jefferson Hotel in downtown Richmond, Virginia, makes you feel like a proper Southern belle. How could you not feel that way going down these steps? 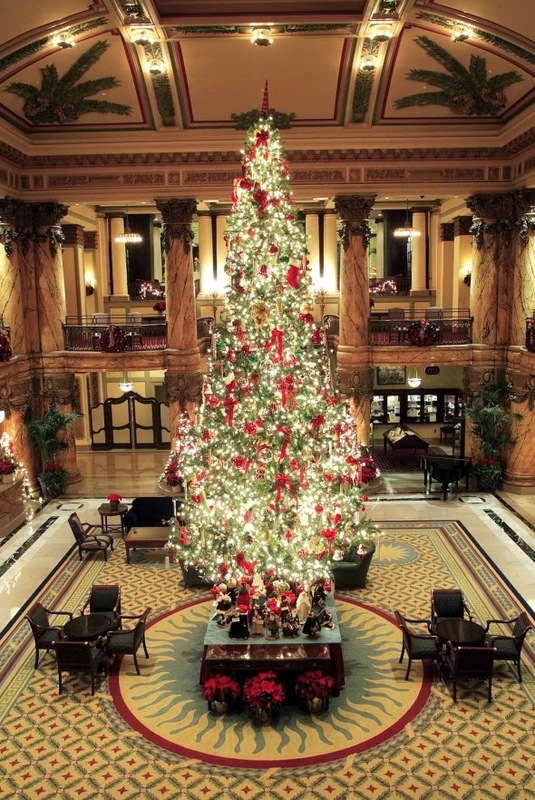 Since 1895, The Jefferson Hotel has been one of the grandest hotels in America. Debutante after debutante has made her debut down these historic steps. More than 100 celebrities, including presidents, have graced these steps, and now my family had the honor as well. 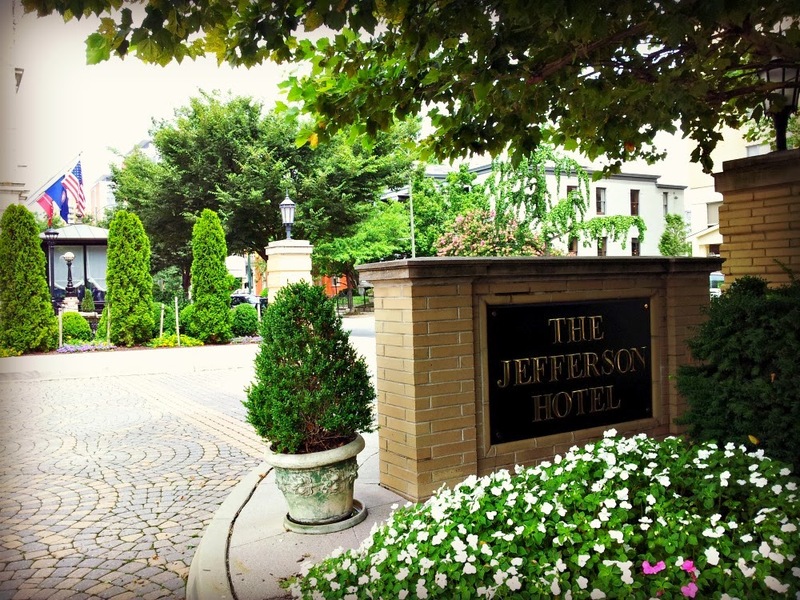 I stopped at The Jefferson for a quick overnight this summer on my way to Williamsburg, Virginia. Boy, was I impressed. As soon as you drive up, you know big things are in store once you step inside this five-star historic jewel. 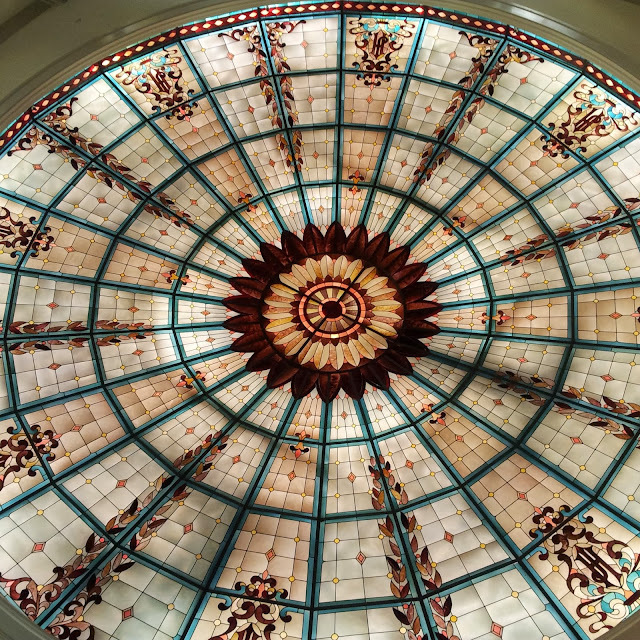 From Tiffany-stained glass ceilings to a life-sized marble statue of Thomas Jefferson, The Jefferson Hotel is luxury on a grand scale. But this gem of a hotel has had a storied past. 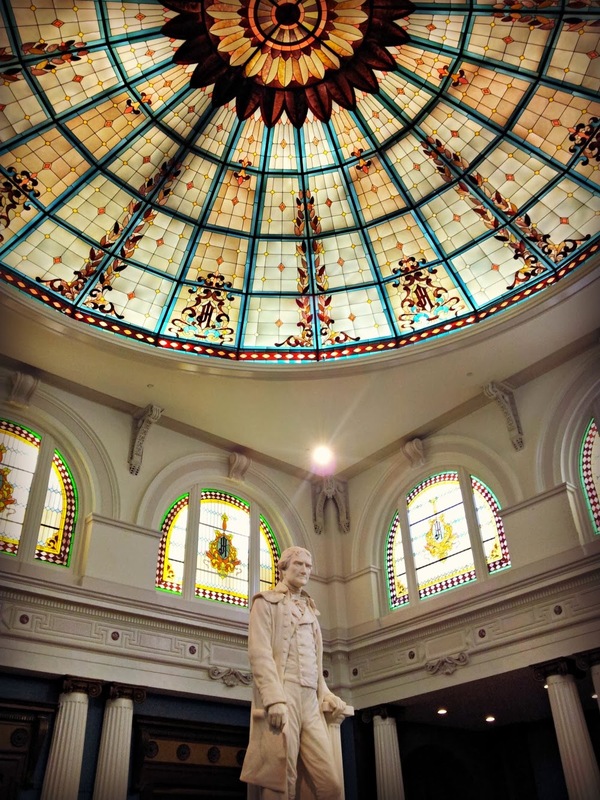 Major Lewis Ginter, a millionaire and Confederate Army veteran of the Civil War, dreamed of building the finest hotel in America. He finally opened his $8 million dollar dream hotel in 1895, but died two years later, and his dream nearly died when a fire destroyed three-fifths of the hotel in 1901. The Thomas Jefferson statue by sculptor Edwin Valentine was saved, by the sculptor himself, but the head broke off in attempts to get it out the door. Could that have been a sign that this elegant property would eventually fall on hard times? Even though the sculptor was able to reattach the president’s head, it took several years before the hotel was opened to its full glory again in 1907. The hotel was the “it” spot for elite travelers to stop on their way to and from Palm Beach. Strangely, guests even left behind baby alligators in their rooms, which were sold as pets in Florida during this era, and the hotel decided to let the alligators grow to their full size in pools in The Palm Court, which now serves as the current lobby of the hotel. World War II and another fire in 1944 put the hotel in a huge state of decline. The last alligator to live in the marble pools was “Old Pompey,” and he died in 1948. America’s elite no longer stopped here as it was no longer the type of property they would frequent. Eventually, The Jefferson Hotel closed its doors in 1980 and remained closed until 1986. It took more than $34 million to restore this beauty to its former glory. In 1994, the hotel received five-star status and once again became Ginter’s living dream as of one of the finest hotels in America. 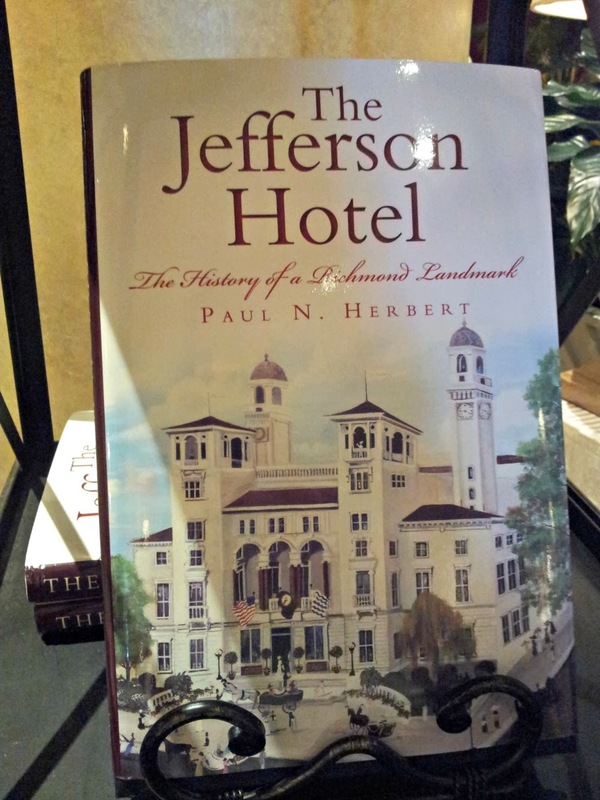 There are currently 261 luxurious guest rooms and suites at The Jefferson Hotel. The theme here is richly residential. 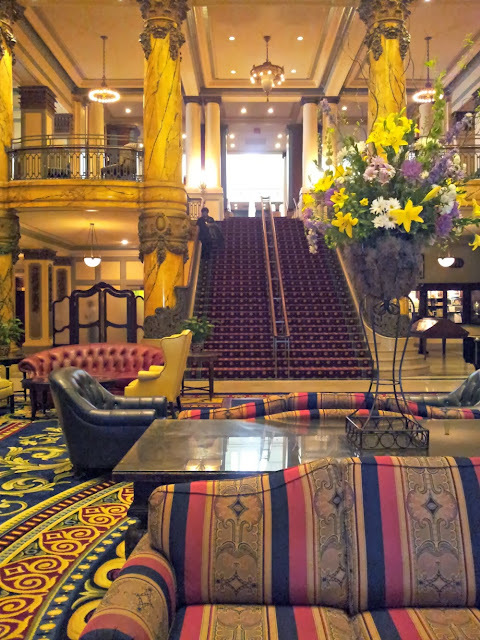 It’s plush, elegant, and fits the image of a historic hotel. We had a one-bedroom suite with a pull-out sofa. It was a great space for our family. 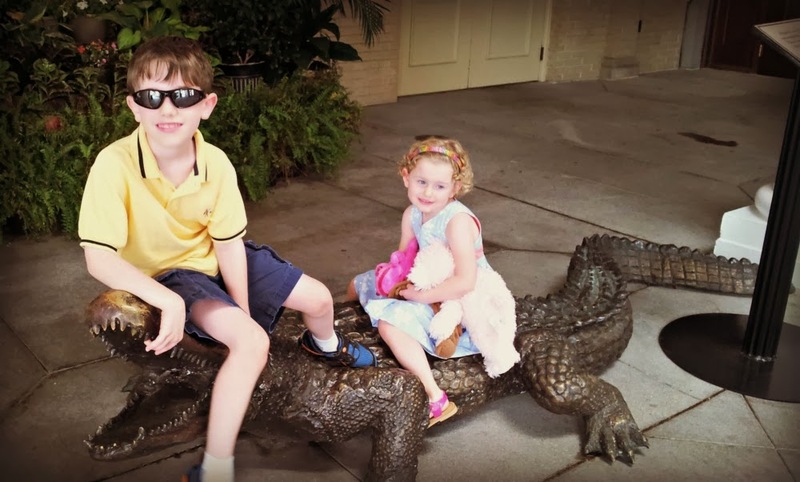 The hotel made our children feel right at home with special gifts of soft, plush alligators. The alligator is the mascot for the hotel, and is another way the hotel remembers its glorious past and the memory of “Old Pompey.” My daughter continues to sleep with her pink alligator at home, and it’s a perfect memento of our stay. 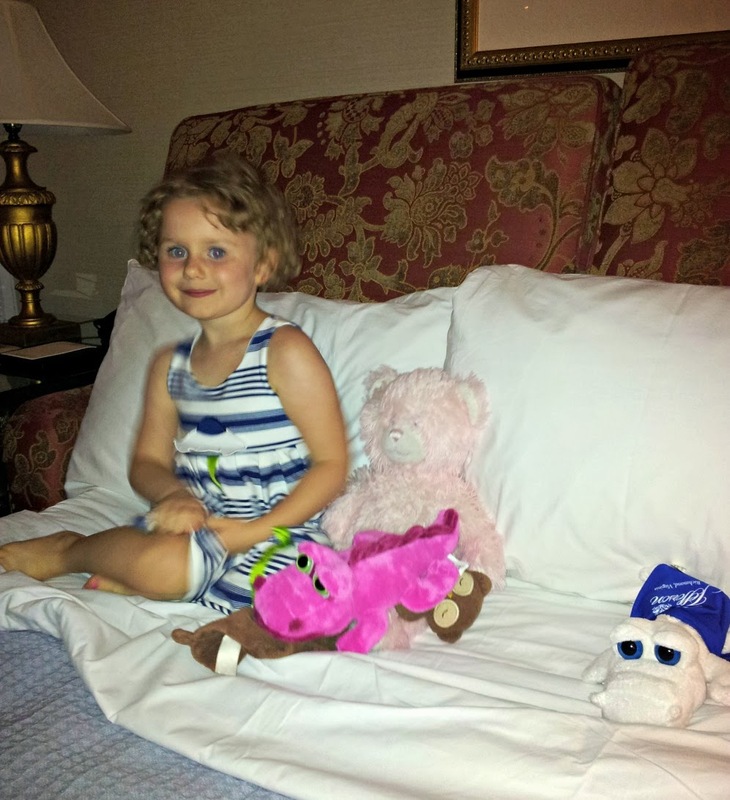 This hotel is five-star, but it’s not too stuffy for children. 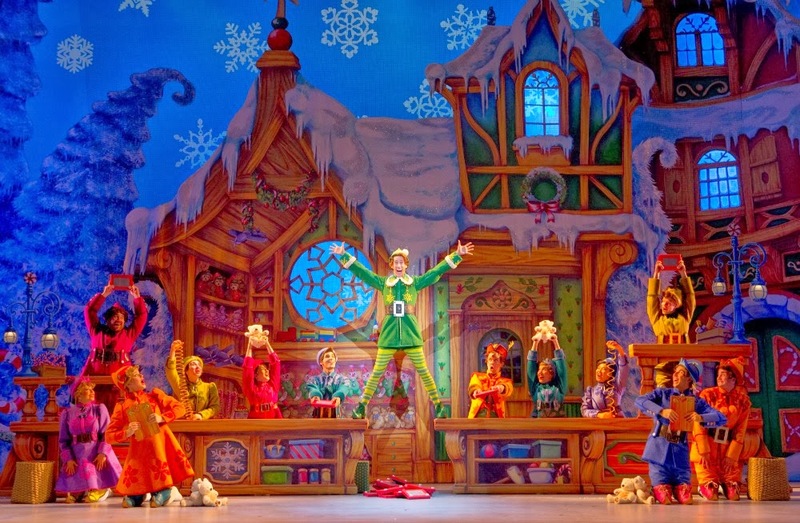 I never once felt that my children were out of place. 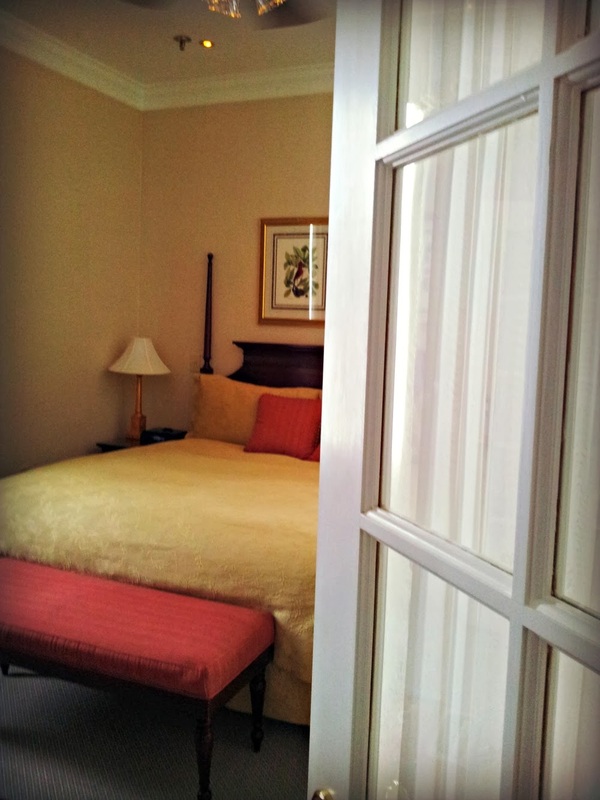 The beds are luxurious, and the room has up-to-date modern conveniences, including complimentary Wi-Fi. The bathroom was gorgeous, extremely spacious, stocked with Molton Brown bath products, a wall-mounted television, and everything else you expect in a luxury property. 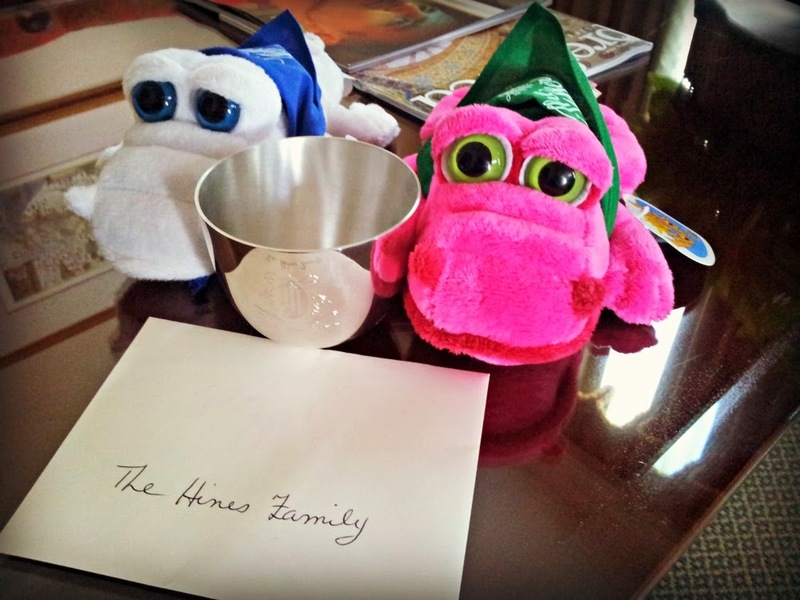 Turn-down service is always a treat, and I especially love it when housekeeping at luxury hotels takes extra care to get old friends and new friends ready for bed. The Jefferson Hotel passed my “luvie” turndown test with flying colors. When we were in Richmond, it rained most of the evening. 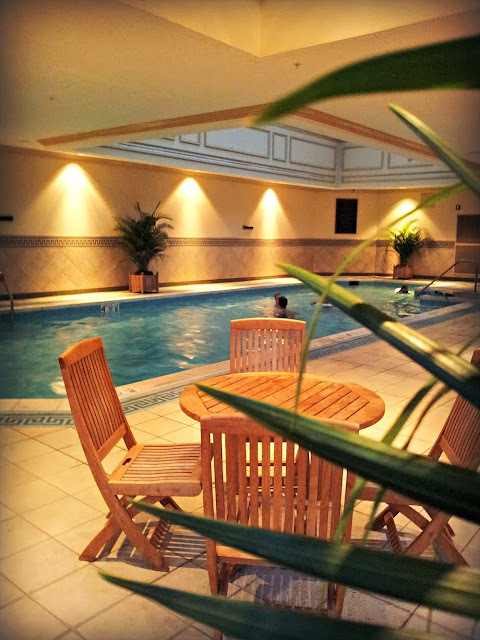 The Jefferson Hotel has a lovely indoor pool, and, of course, my two tested it out during the storm before dinner in town. 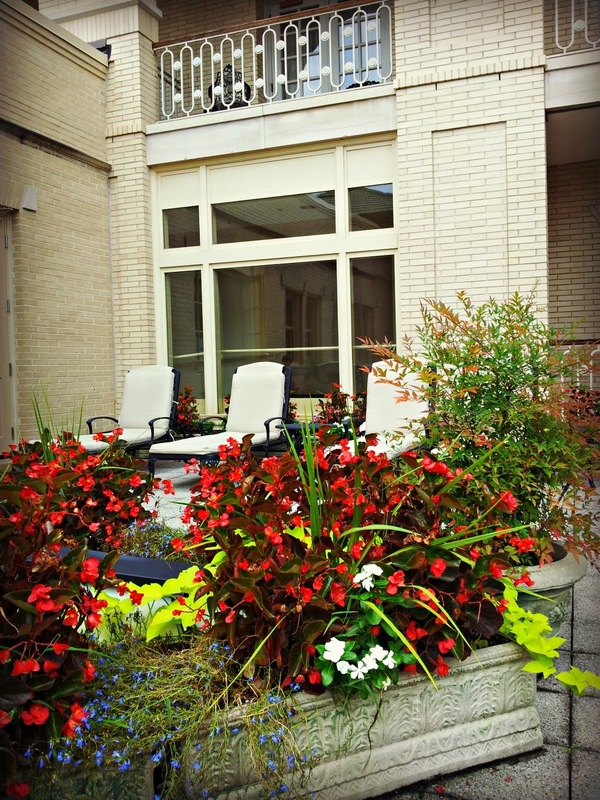 This is a great space in the hotel, and, in nicer weather, there is also a beautiful terrace for guests to use. Afternoon tea was part of my hotel stay as I was on assignment for Skimbaco. 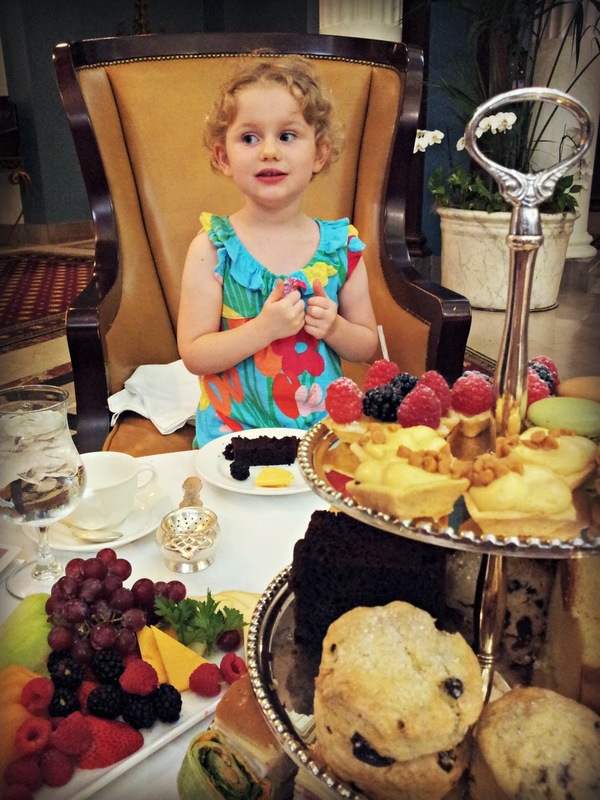 Afternoon tea at The Jefferson is a Southern culinary gem. I was so impressed. You can read about my tea experience at The Jefferson on Skimbaco. I highly recommend a visit if you are in the Richmond area. 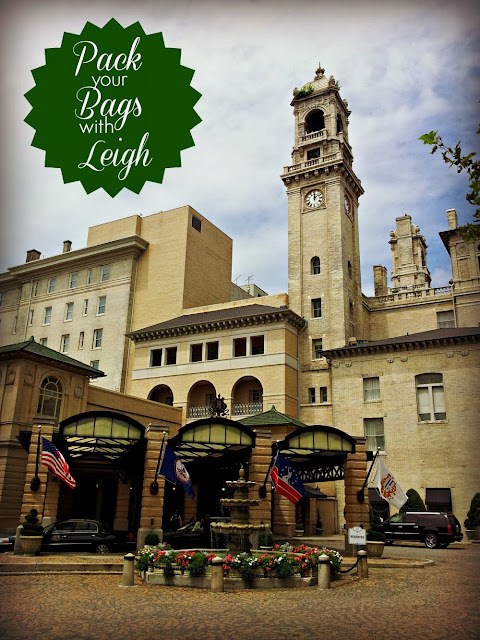 While in Virginia’s state capital, I had the opportunity to meet the lovely blogger behind Sundresses and Smiles. I’ve been corresponding with Allie since we first started blogging and wanted to meet her while in town during our short stay. 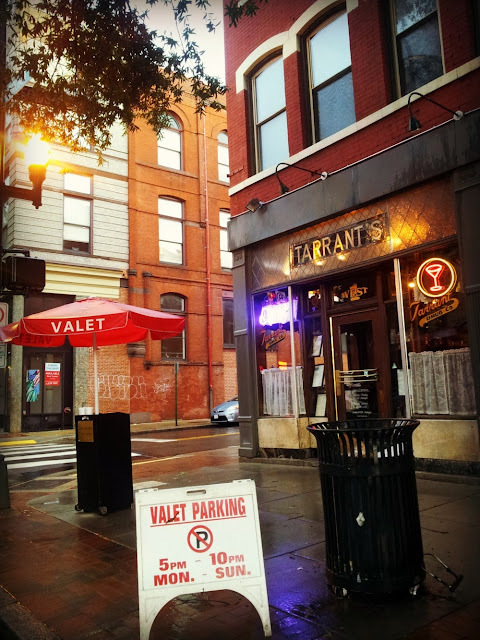 We met her and her boyfriend Bryce at the locally owned Tarrant’s Cafe, which is located a few short blocks away from The Jefferson Hotel. 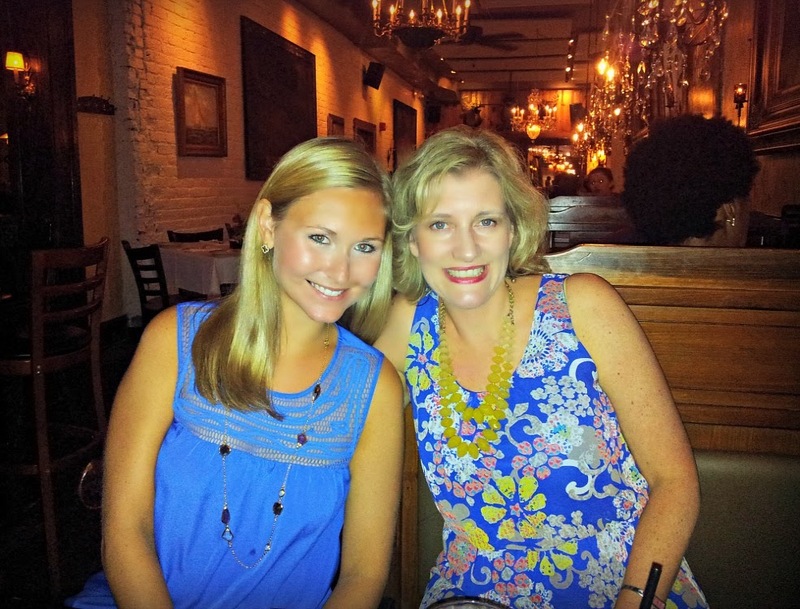 Tarrant’s is housed in an old Richmond downtown drugstore, and the food was delicious. It prides itself on upscale food at an affordable price. I really wanted something light after that huge afternoon tea, and the menu at Tarrant’s had something for everyone, as well as local Virginia craft brews. The kids also had a lot of great options, too. I’m glad Allie suggested it. Unfortunately, my stay was too short to have dinner at the hotel’s signature restaurant, Lemaire, so I’ll have to save that for another time. Lemaire showcases a farm-to-table menu in a fun and casual atmosphere with small plates starting a $5 and no entrée above $30. It’s one of Richmond’s top-ranked restaurants. TJ’s Bar and Lounge, also in The Jefferson Hotel, would have been another great option for a lighter meal that evening, but you all know I like to combine my hotels with a little bit of the city I’m visiting, too. I had no time to sightsee on this trip in Richmond since my final destination was Williamsburg, and I really wanted to make some time to visit with Allie. I will definitely have to head back to Richmond to see more. Richmond, Virginia, is about two-and-a-half hours from Raleigh. 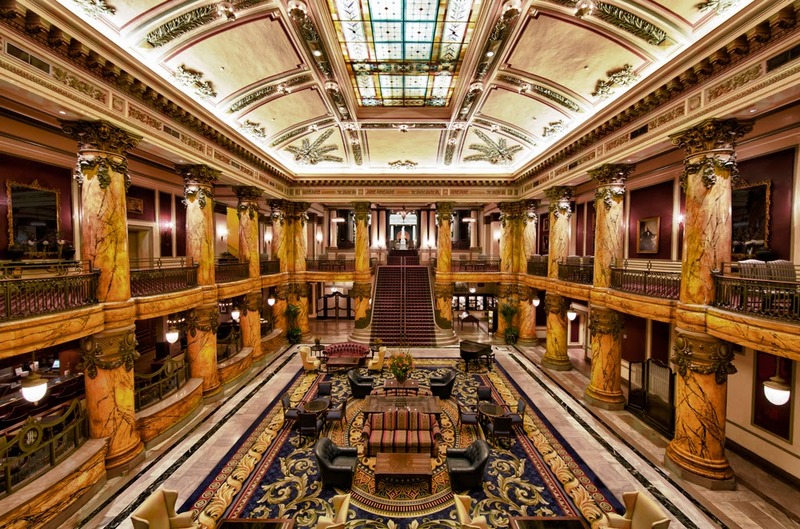 I definitely recommend The Jefferson Hotel as a place to stay while in Richmond. I think it would be extra special during the holidays, too. My Mom told me that Richmond used to be the place that Southerners would go to shop every holiday at the five-story Miller and Rhoads department store. That building is now an apartment building, but The Jefferson is still a popular spot to celebrate the holidays, during the hotel’s busiest time of the year. My only disappointment about the hotel is that it currently does not offer in-room coffee aside from room service. They, do, however, offer complimentary tea and coffee in the lobby every morning, but I missed that detail at check-in. 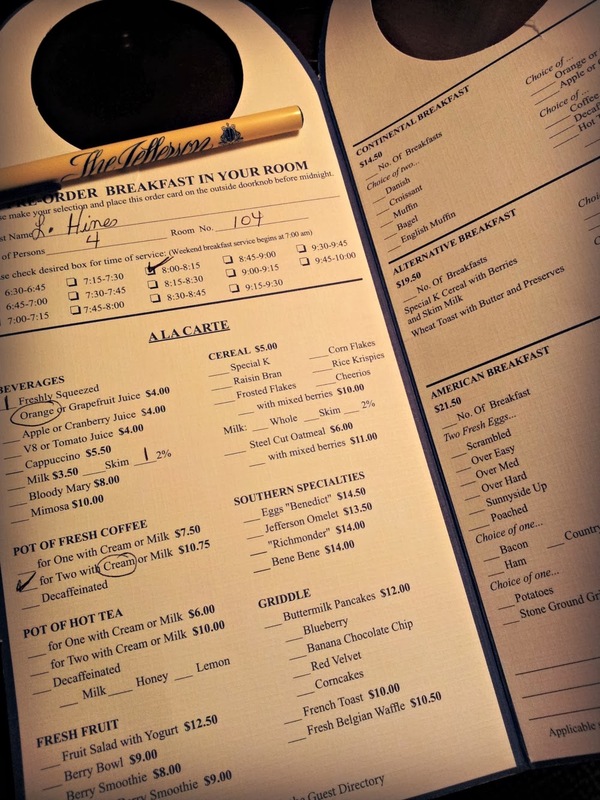 A pot of coffee for two for room service is $10.75 plus tip and room service charge. The hotel says it is currently evaluating its in-room coffee services, but it has not yet found a product that rivals the taste of the coffee in the lobby. 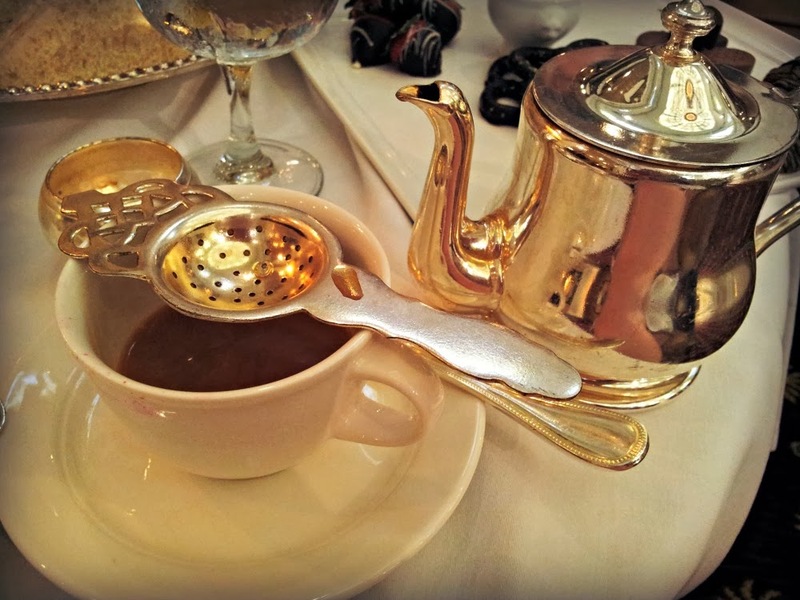 If you do stay, do make note that there is complimentary coffee and tea each morning. Not sure if robes are welcomed there, though. Regular room rates begin at $365 per night. 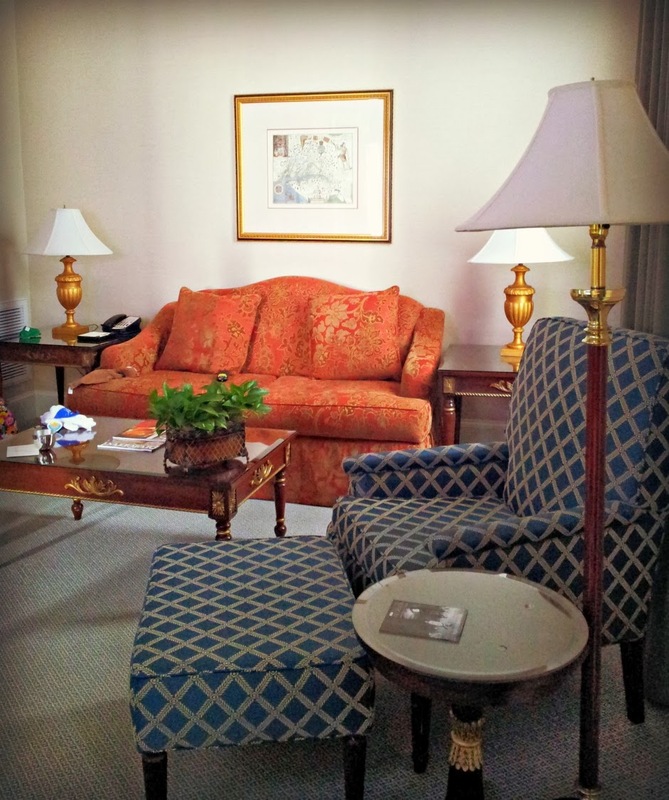 Suites range from $435 to $2,100 per night. The hotel does offer special rates quite regularly, though, and you can find a package for the holiday season for $245 with a $50 resort credit. The hotel was renovating some rooms while I was there, and I did stay in a freshly updated room. 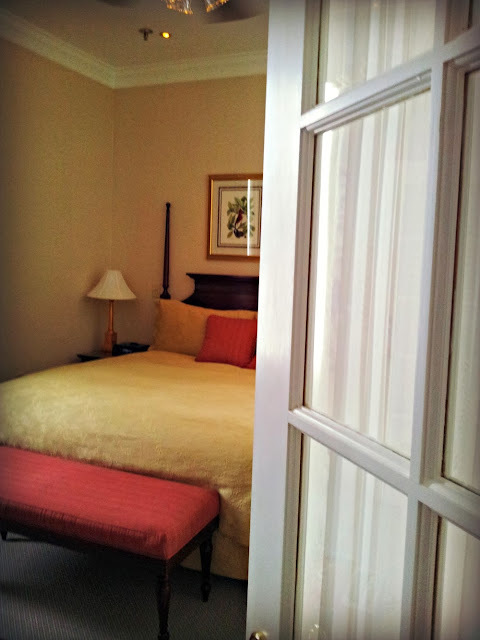 As with any historic properties, rooms constantly need to be enhanced. The Jefferson is a member of the Preferred Hotel and Resorts and Historic Hotels of America. The hotel is locally owned by the Keswick group, which has some great Southern hotels in its portfolio. The Jefferson is one of only a handful of hotels in North America to hold both the Forbes Five Star and AAA Five Diamond Awards. Disclosure: This Pack Your Bags feature was made possible by a media visit. I did have my own expenses, and my experiences and opinions are my own, as always. 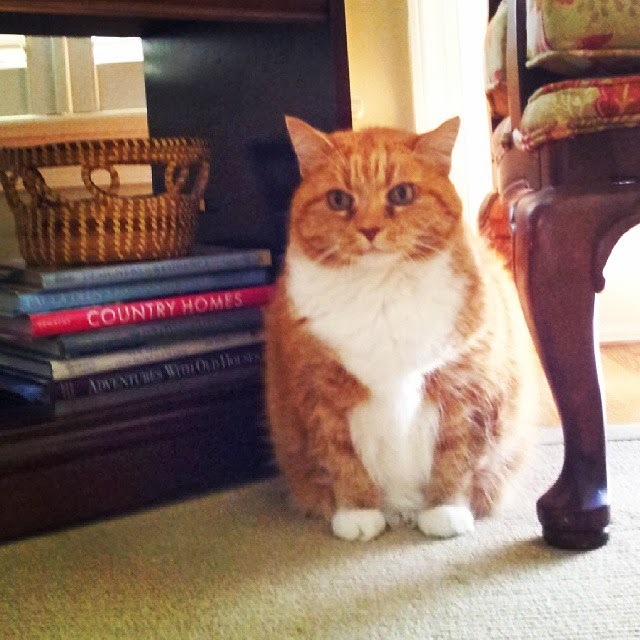 We were feeding my Mom’s fat cat, Ginger, this week. It’s been good for the kids. They saw how time-consuming it is to care for a pet. We went once a day. Filled up the food and water bowls, scooped the litter, and grabbed a few candy corns out of my Mom’s glass pumpkin. The cat was just downright pissed that my Mom went on vacation without her. She barely looked at us most days. I think she thought we are just plain, crazy, old relatives. I mean every family has them, right? I mean really. What would you think if someone showed up to feed you in a black Batman shirt, lime green pants, a hot pink skirt, and Cinderella glass slippers? It was not even Halloween on this day, but lately I’m beginning to feel as if every day is wacky-tacky dress-up day. I miss the days when I could pull out an outfit from my daughter’s closet and she happily put it on for me. Now she has an opinion. Self-expression. 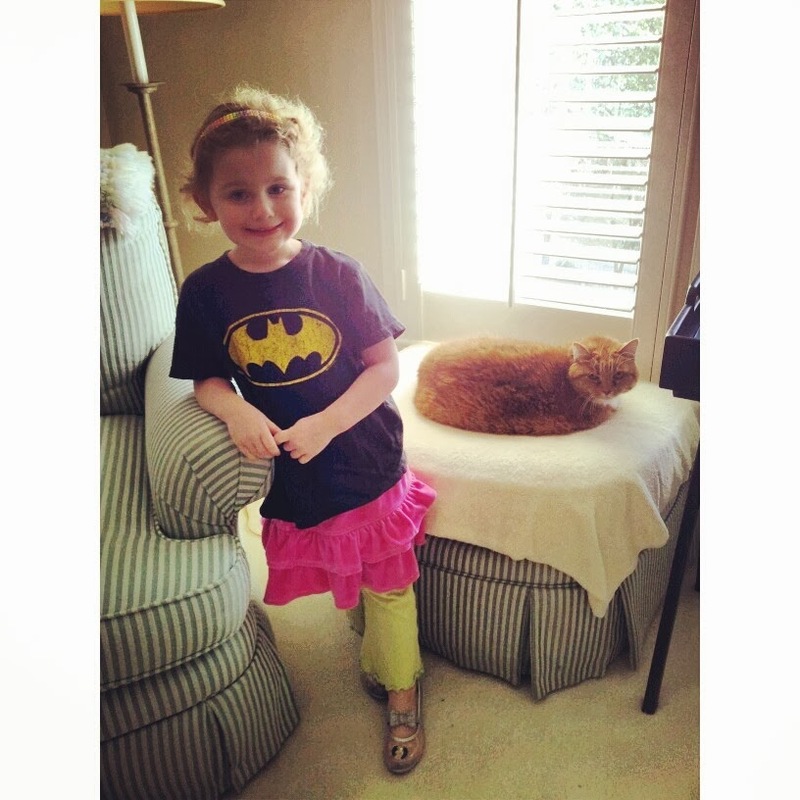 Check out the attire she chose on her dance class day. I really do my best not to let her look like it’s Halloween on most days of the week, but some days parents just have to pick their battles. It’s just clothes. She wins two or three days out of the week. On those days, I really hope that we don’t run into anyone we know. But now that I’ve aired my dirty laundry for all to read, then you know I did not put her outfits together on those days. Most days, actually. 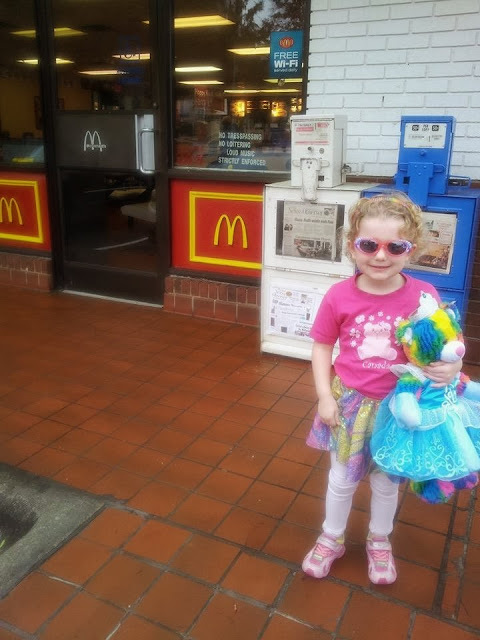 She said no to the Lilly I picked out, and hello to attire styled by a clown. But we all know that clothes don’t make the woman. It’s the inner beauty that counts. She has lots. 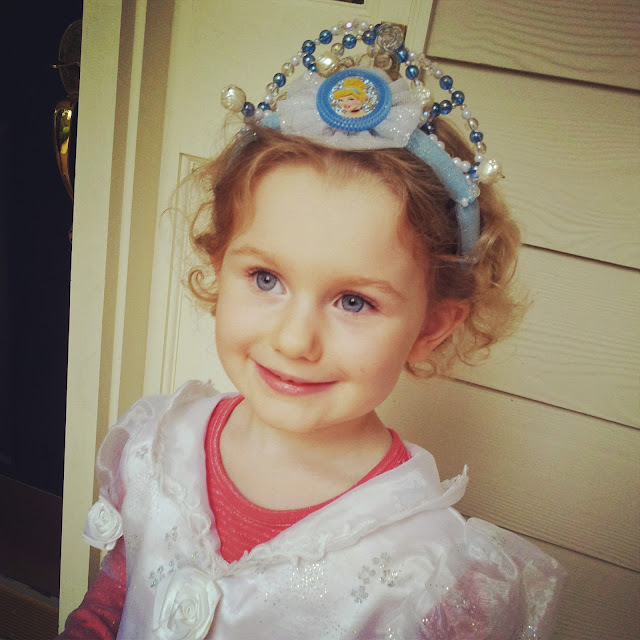 On Halloween, she looked like a Princess. Through self-expression and creativity, children's skills will develop naturally, and their ability to create will soar. I will not be the one to stifle her and insist she wear something that she does not want to wear when we’re just going to feed a cat. 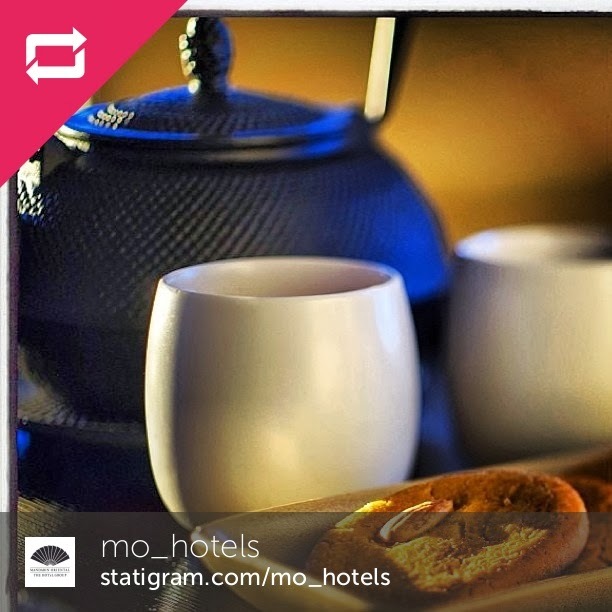 Now tea at a luxury hotel? Well, that’s a whole different story. But the cat already thinks we are crazy. And I think we are a little. I raided the kid's costume box, and wore my son's costume for two years ago. 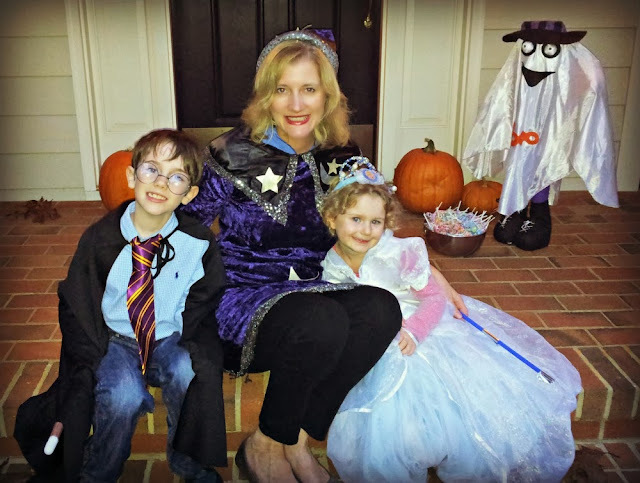 I felt that Harry Potter needed a wizard, and of course, Cinderella needed a fairy god mother. And if you are in the Raleigh area, join me on November 15 for this great holiday event sponsored by Vend Raleigh.